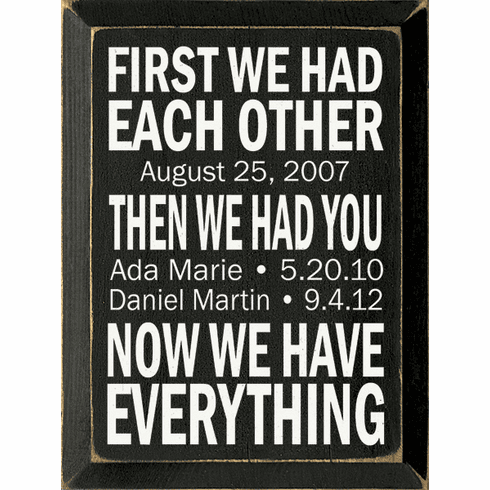 Family & Friend Sign...First We Had Each Other (Wedding Date) Then We Had You (Children & Birthdates) Now We Have Everything. Made from solid knotty pine. Beveled edges. Routed slot in back for hanging.